These primary ingredients resolve around the four M's of preaching—Man, Matter, Method, and Medium. Read the author's careful evaluation of Biblical evidence for the Edenic origin of the Sabbath day. A recent book by Norman F. Douty, Another Look at Seventh-day Adventism, attacks what he calls "the fallacious year-day theory," which is basic in Seventh-day Adventist prophetic chronol­ogy. Desmond Ford, head of our Australasian Mis­sionary College Bible department, here answers Douty on this important year-day principle of in­terpretation. 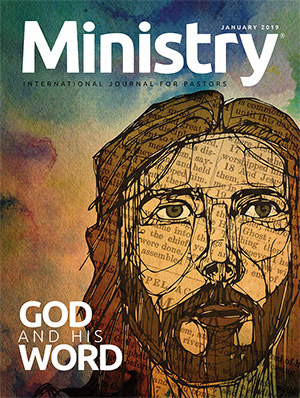 We are sure our ministers will find this a timely and helpful article.—EDITORS. The conclusion to this series. It is the suggestion of this article that the final proph­ecy in Daniel (chapters 10-12) is both an aid and a safeguard in understanding the vision recorded in the eighth chapter. A fundamental principle of hermeneutics is to focus upon a problem verse all parallel passages of Scripture. 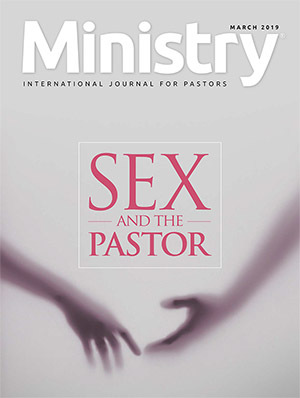 The unique contribu­tion of the Seventh-day Adventist Church to the­ology is the doctrine of the investigative judg­ment. It is a significant fact that the only time Christ gave a command to understand a specific Old Testament proph­ecy He placed His finger upon Daniel 8:9-14. Not only so, but the two chief writers of the New Testament, Paul and John, by allusion to this same prophecy re­inforced their Lord's admonition. More evidence linking the two chapters. The purpose of this article is to demonstrate that the reasons for a special latter day application of the Day of Atone­ment are sound. To this end significant statements from Scripture and from non-Adventist scholars will be quoted. 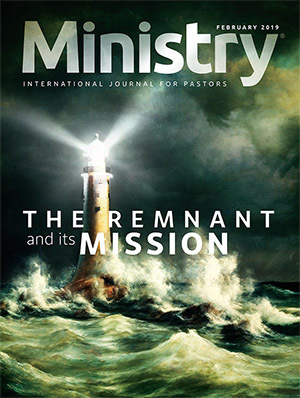 WHEN the editor inquired recently, "Have you discovered anything in your sanctuary research that is new evidence on the topic of the judgment and our interpretation of Daniel 8:14?" I decided to tentatively submit some thoughts on this matter that have seemed significant to me. It must be admitted, however, from the outset that what at first seemed "new light" proved to have been old truth, once cherished but of late forgotten. . . THE most detailed picture in the Old Testament of future events is found in the closing chapters of Daniel the prophet. Here there is repeated mention of "the time of the end" and of the international strife, civil and religious, which is to characterize that "time of trouble, such as never was since there was a nation" (Dan. 12:1). 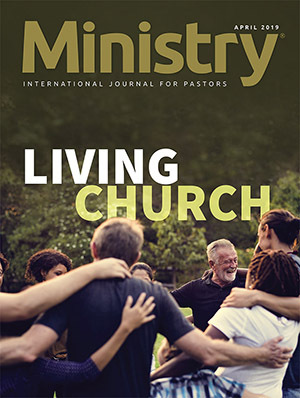 In these prophetic passages both the work of Christ and Antichrist are focused upon with reference to their bearing on the experience of the church. . .
Editor's Note: The fact that Dr. Ford is emphasizing a new application of verses 24-27 does not mean that he does not support the literal and chronological application of these verses to the events associated with the first coming of Christ. 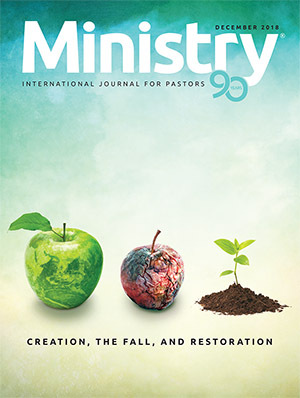 In response to a query from the editors on this point, he makes it very plain that he has no intention of teaching "dispensationalist futurism" and that the last-day application he makes of portions of these verses does not include the "chronology involved in the primary fulfillment of the prophecy." THE monumental pillar upon which an atheist hangs his doubts is the existence of evil. If there is a good God, why doesn't He do something about the tragedies of existence? Why is He indifferent to sorrow, pain, war, poverty, and the like? ONE OF THE grandest of prophetic panoramas is found in the seventh chapter of Daniel and it was written in the sixth century B.C. More than twenty-five centuries are compressed into less than thirty verses! The terrain of chapter two is repeated with much added detail. . . THE story of Daniel in the lions' den is too often put into the same category as Aesop's fables or the tales of Hans Anderson. To perceive its real intent, however, is to recognize that the story has a depth of daily relevance for every Christian and that it carries a special message for the church as a whole in the last generation of history. . .
WHAT a night it was. Eastern nights are often full of wistful beauty and haunting mystery, and the one on which Belshazzar feasted and fell was no exception. A thousand of his lords and nobles and their wives and concubines had gathered in a banquet hall that was in keeping with the splendor of a world monarchy. . . IN SOME RESPECTS the fourth chapter of Daniel is the most remarkable chapter of the Bible. It was written as a public testimony by one of the greatest kings of all time, telling of his pride, humiliation, and ultimate conversion to the King of heaven. It warns of a trap that yawns before many of us —the trap of snatching independence from our Maker and Lord—a mistake as fatal as severing a tree's roots from the soil. . . IN THE THIRD chapter of Daniel we read a preview of events soon to take place in our world. The record tells of an ecumenical attempt to unite the nations by uniformity of worship. This chapter and Acts 5 are classic scriptures for teaching the separation of church and state. Endeavoring to link church and state is like trying to weld iron and clay. It is contrary to the Creator's law and can never work successfully. . . MANY a man gazing into the silent heavens has felt like the poet and longed for assurance from One greater than himself. In all his early presentations to new interests the worker does well to remember that he lives in an existential age. . . THE first "battle" in this world, the first shedding of human blood, was over the issue of worship. It transpired at the very gates of Eden when one brother slew the other. "And wherefore slew he him? Because his own works were evil, arid his brother's righteous" (1 John 3:12). But of more interest to us probably is the fact that the last battle of earth is also to be over the manner of worship. History begins and ends with religious conflict. . . RECENTLY the theme of the apocalyptic has been the subject matter of cataract and learned articles and books. While is was long fashionable to deny that Christ could ever have been the teacher of apocalyptic themes, the wheel of scholarly research has now turned full circle and on every hand theologians confess what there forebears denied--namely that Jesus believed in the apocalyptic images of Daniel and drew heavily upon them in proclaiming His own message. . . THE Seventh-day Adventist doctrinal structure is at several points similar to a spider's web suspended from a single vital strand. For example, our doctrinal distinctiveness lies in eschatology, and our traditional positions here are dependent upon the validity of the year-day principle and the sixth-century dating of Daniel. Concerning the former I have previously written in The Ministry, 1 and it is the purpose of the present article to consider the latter. . . The victory over the metropolis of Jericho, followed as it was by the failure at little Ai, seems too often the pattern for twentieth century evangelistic warfare. That the results of our small-town efforts are not as we would wish will be readily admitted by most of us. The ancient Jews, like ourselves, think of God's judgement in terms of an earthly court of justice. The difference is that the Christian pictures the case to be tried as a criminal case with himself in the dock; the Jew pictures it as a civil case with himself as the plaintiff. The one hopes for acquittal, or rather for pardon; the other hopes for a resounding triumph with heavy damages. . . . THE name Adventist intimates an eschatological thrust, and such a thrust was never more relevant than in 1971. This is, theologically and otherwise, the eschatological era. To speak of eschatology is to speak of hope in a hopeless world, it is to assert purpose and meaning in an age of ideological nihilism. It is a presentation of a viable theodicy to an age of deicide— that is, it justifies God to a world so suspicious of Him as to declare Him dead. . . Within that "most excellent of all the holy things" was enshrined a type of reality that forever binds all artists to draw giraffes with long necks. Sacrifices were not human attempts to ward off divine anger, but the revelation of divine love. The song of heaven itself will ever be: Thou wast slain,and hast redeemed us to God by thy blood." A little-known sanctuary symbolism indicates separate judgments for the righteous and the wicked. Scholars have long recognized that the most solemn of Israel's ceremonial days casts its shadow to the very end of time. "The only time Christ put His finger on a specific Old Testament passage and instructed His people to understand it was with reference to Daniel 8:13, 14." The Old Testament stands like a half hinge until the succeeding Testament is added. Jesus Christ, the Lamb of God, holds the two together. Last month the four principal bases for scholars' rejection of the authenticity of an early dating of the book of Daniel were given. Then we examined the interpretation given by those who favor the late, or Maccabeah, dating. Now we continue with the critique. . .